Socialism requires the gov’t control of means of production. That is achieved by ownership [communists killed biz owners] OR the fascist model [fascists killed all biz owners who would not obey]. Obama used gov’t as enforcer to ensure obedience by owners of means of production. 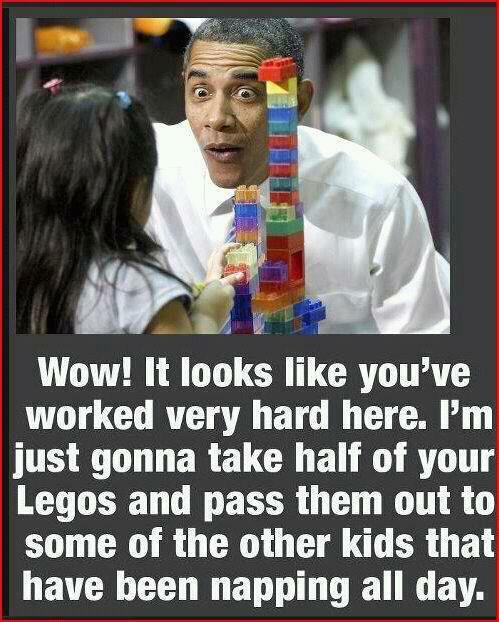 Obama is a socialist. He believes in the State controlling all, its absolute mandate to do so and redistribution as a basic tool constantly in use to facilitate getting more control FOR the State even as that State consumes more and more to be ‘redistributed’ until even the rumor that something as outlandish as private property ever existed would have people pointing and laughing at any who believed it. Obama is someone that is hard categorize into a subversive group. Communist, Socialist, Fascist, all seem to apply to some degree. The other snag in his character is that he is a closet Muslim. His goal is to destroy this country. Actions are what really show our real intent. He doesn’t call Muslims terrorist regardless of what they do. His leftist policies are destroying free enterprise, through regulations and taxes. He pretends to be a capitalist but in reality he is a cronyist supporting companies that have helped him while regulating their competition. He is flooding the country with illegals to further stain the states funds and to cause them to collapse so fed can take over. He is also trying to bring third diseases into the country to hurt the American people. The only way to describe this malevolent man is to call him an islamo-facsist. That is The New Socialism that Williamson speaks of that is such an insidious threat to us. The old socialism will certainly come on its heals. Meanwhile I’m going to try to get my head around a worldview that sees Socialism (“top 5 of highest taxation country in the world”) with its complete control of you, your property and your welfare as compatible with being free (“Greetings’ from Sweden; the freest …”). Yes, you guys never cease to amaze me. The only thing I can think of is that it’s like bringing up the heat on a frog. If you’ve never known anything else, no matter how bad it gets you conclude this is what freedom looks like. America’s margin of competitive advantage has worn very thin and it’s growth trendline is now headed towards a more Swedish like subpar two percent, in a world that is riding a four to five percent growth trendline. The future and the fix: get the pitchforks out and flatten some more the effort-reward curves. The writing is on the wall. to the end of its life. And for Mkwen, Williamson also demolishes the, oh ya what about Sweden, comeback Socialists love to give when asked for an actual example of long term Socialist sucess. Personaly I can never get past that 100 million people Socialist ideology murded in the 20th century to really care for examples. Now *that* definition would make Obama a socialist. I like that. Wow, you guys never cease no amaze me(and not in a good way)//Greetings’ from Sweden; the freest, most prosperous, top 5 of highest taxation country in the world, and wouldn’t want to be anywhere else.